VW Touareg information: everything you need to know if you own it, are thinking of buying one or just want to find out more about Volkswagen’s roomy 4x4. Click on the links below for all of CAR magazine’s news, reviews, videos, scoops and spy photos of the Touareg car range. This is the second-generation of VW’s generously proportioned 4x4. Roomier than before, it’s a far better car in every way. 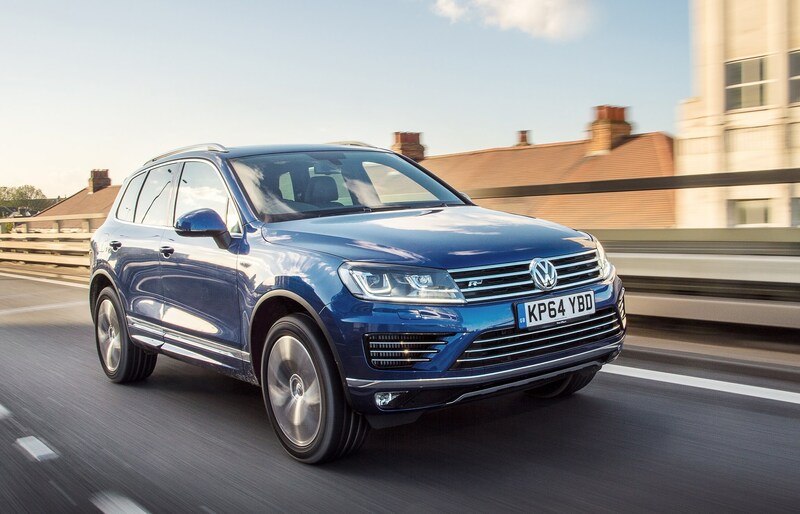 For more information on the Volkswagen Touareg, click on our further stories on the links below. VW’s jumbo 4x4 is brilliant both on road and off. We ran a 3.0 TDi Altitude as a long-termer and came away impressed. We’d suggest speccing the air suspension because the low-speed ride on steel coils isn’t wonderful but otherwise there’s little here to complain about. As every Touareg owner will tell you, it’s twinned with the Porsche Cayenne, donchaknow, and it shows. This car handles far better than you’d expect of mountain-sized SUV and goes well, too. Roomy, refined and agile, it’s an easy car to warm to.